We all know global chains such as McDonald’s, Burger King and Subway can satisfy your fast food cravings anywhere in the world. Yet, if you want a taste of Latin America on-the-go, try these fast food chains when you’re hungry and in a hurry. There are some locations in the U.S. but these are must-eats if you want to know what fast food is in Latin America. If you were at Los Angeles International Airport, you knew you were standing outside the right arrival flight from El Salvador if you smelled fried chicken in the air. The chicken chain is a staple in the country, and passengers would carry boxes and plastic bags full of the fried, crunchy chicken on their flights to bring to family and friends. In Latin America, the restaurant chain has locations in El Salvador, Honduras, Guatemala, Nicaragua, Ecuador, and Mexico. Their international headquarters are based in Dallas and there are now 70 locations in the U.S. to give you a taste of El Salvador. Frispecial con agua jajajaja empezó la dieta . #Jueves #PollosFrisby #lunch 😂😂😂😎😚. This fried chicken is Colombia’s answer to Pollo Campero. The chain was founded in 1983 and originally served pizza but struck its luck in making fried chicken. Customers can order sides such as yucca, fries or salad to accompany their entree. If you want to try this chicken you’ll have to make a trip down to Colombia where there are 200 locations in more than 20 cities. If you’re in Argentina and want a taste of comfort food from back home, stop by this restaurant serving up hot dogs with some toppings such as fried potato sticks, sauerkraut, cucumbers and your choice of sauce. Order like a local and call the hot dogs by their name—panchos. In a country known for empanadas and asado, it is one of the few places you can sit down to eat a hot dog while enjoying a Boca game on the TV. No Chipotle? No problem. Bite into burritos abroad at this Buenos Aires-based burrito chain with Latin American locations in Argentina, Colombia, Chile and Ecuador. This Colombian hamburger chain is making sure you know it is gourmet with a bun on top. Customers at its over 200 locations in 30 cities across Colombia, and outposts in Chile, Panama and Ecuador, can top their burgers with ingredients including specialty cheeses, Argentine sausage, tortilla chips, Colombian costeño cheese, grilled chicken and more. 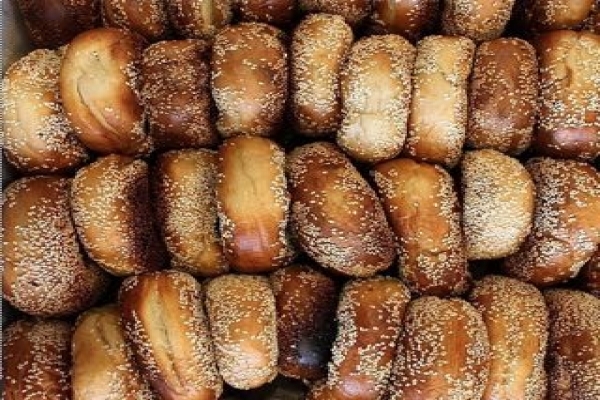 Have you eaten at any of these fast food chains? Share this with your friends to tell them you’re a world-class foodie! 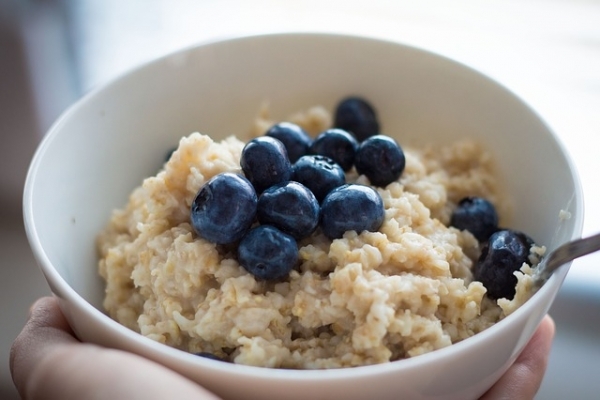 These 15 foods are good for your body, and they don’t involve much time in the kitchen. It can be tempting to sit down on the couch, watch tv, and wolf down too much junk food, especially when the weather gets colder. 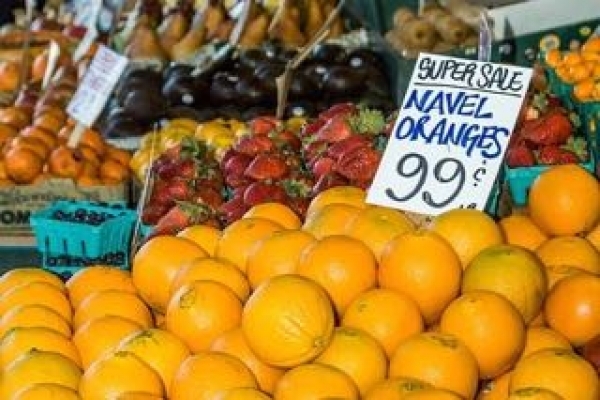 As Americans, we tend to make poor choices when it comes to what we eat, choosing food that tastes good in the moment but doesn’t have much in the way of nutrition. 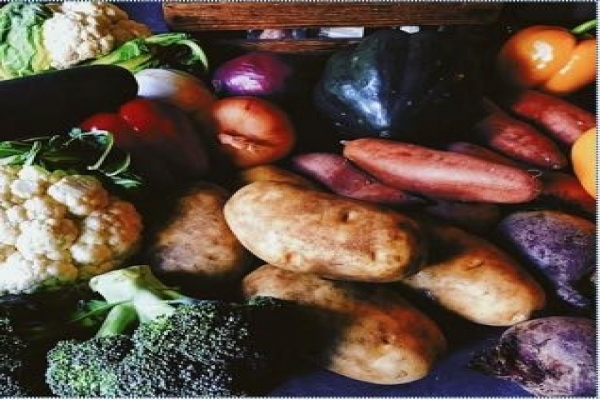 And type 2 diabetes, a disease tied to poor eating habits, has a disproportionate impact in the Latinx community.1 So here are 15 foods that you should be eating more of – and why. *there should only be one ingredient in your peanut butter – peanuts. A quick and easy salad – spinach, cherry tomatoes, green onions, and croutons. For dressing, splash on a bit of olive oil and any type of vinegar. Add salt and pepper if desired. 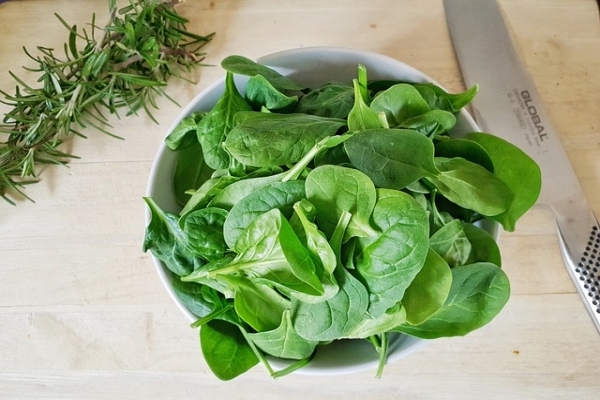 Buying prewashed spinach will help save time, otherwise, be sure to rinse thoroughly, as spinach tends to have dirt clinging to it when you bring it home. Vitamins A, B6, B9, C, E, and K1 are all found in spinach. It also is an excellent source of iron, and has antioxidants that have been linked to slowing the aging process of our cells. Finally, it helps with your eyesight and has been shown to reduce the risk of certain types of cancer. 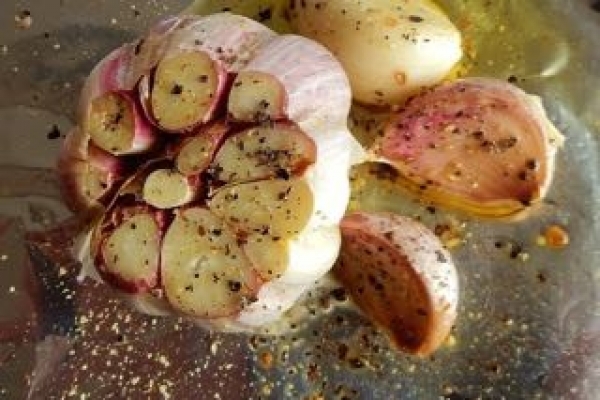 Roasted garlic is a gourmet food that is crazy simple to make. Take the garlic, brush off the outer skin, cut the very top off, dip it in olive oil, place it on tin foil, and throw it in the oven at ~400 degrees. Take it out about a half hour later, and you’ll have mushy garlic goodness that you can spread on some bread or add to pretty much any vegetable dish. Garlic helps prevent colds, improves blood pressure and cholesterol levels, and is associated with a longer lifespan. Surprisingly easy to make, and super quick if you can buy your veggies pre-chopped. You can literally use whatever vegetables you want. In the winter, carrots, celery, garlic, and onion are all available and a nice place to start. Just combine the vegetables and water in a large pan, bring to a boil and then lower the temp to medium. Cook until the veggies are tender. If you have any oregano, basil, or chili powder, go ahead and throw some in there. Adding a splash of soy sauce will give it more depth. Carrots have Vitamin A which is beneficial for your eyesight. 9 Celery has numerous antioxidants.10Onions have been linked to a decreased risk in certain cancers. Tired of plain water? Toss in a bit of lemon or lime juice. You’ll get hydrated plus you’ll have the benefits of citrus. 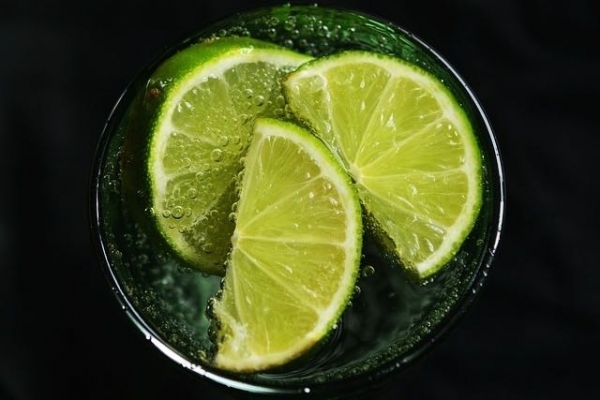 Lemons and limes contain vitamin C, which has been shown to help fight colds. 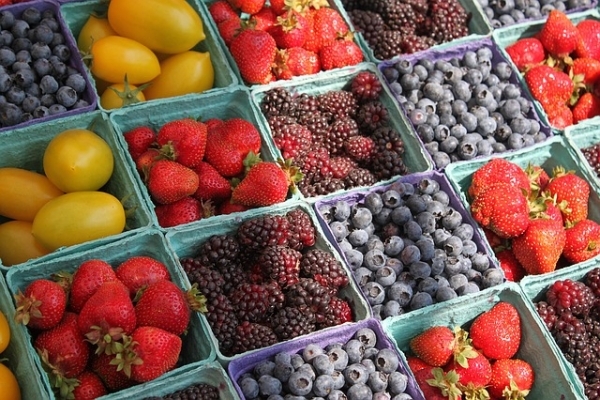 They also contain antioxidants, so they’re an ally against many types of chronic diseases. Contrary to popular belief, eggs + vegetables and (a little bit of) cheese is a healthy choice. Just add the eggs to a lightly buttered or oiled frying pan, throw in some chopped veggies, and heat on medium until cooked. Add a little bit of cheese on top immediately after cooking. If the cheese doesn’t melt, you’ve got too much on there. Add some jalapeños for additional nutritious benefits. The egg whites and the yolk are both good for you. 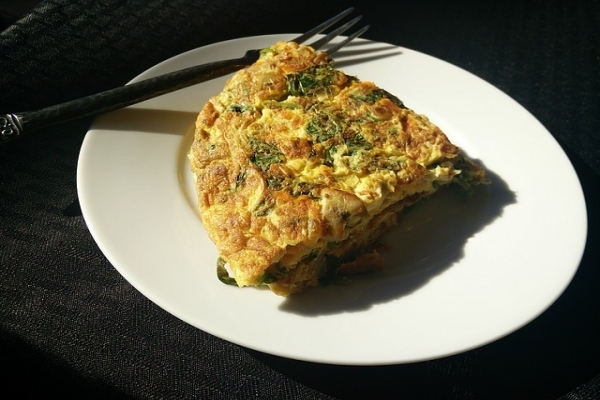 Egg whites are filled with protein. And nutritionists tell us that egg yolks “contain small amounts of almost every vitamin and mineral required by the human body…”. And eggs do not increase your cholesterol.13 Jalapeños, or any chiles you’d like to use, contain capsaicin, which actually increases the amount of fat your body burns. 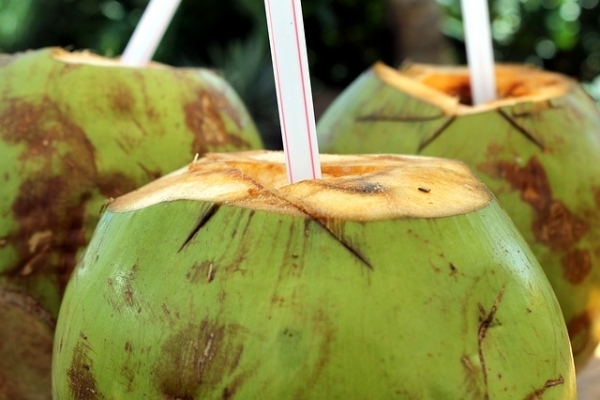 Another incredibly easy food to prepare, coconut water is found in young coconuts. Just punch a small hole in a coconut and pour its water into a glass. Or take a reusable straw, push it right into the soft part of the coconut, and drink from there. Coconut water is just as good for you as any sports drink for hydration and replacing your electrolytes. When making mushroom soup, it’s best to have at least 2 types of mushrooms. Clean them and cut them up. Then put them in a pot, along with some onions and a bit of oil. Cook on medium heat until the onions soften. Then add soy, almond, or cashew milk. (You can also use cow’s milk, but then you have to be careful not to overheat it). Continue cooking on medium heat for about 20 minutes. Add salt and pepper, and you’re done. 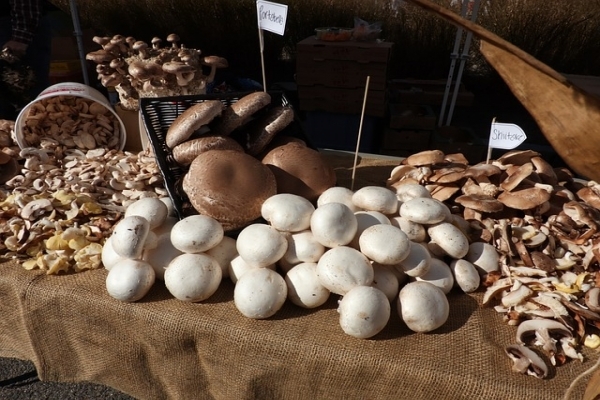 There are many benefits to eating mushrooms. They contain antioxidants, B vitamins, copper, potassium, and beta glucan. Beta-glucan reduces your risk of Type 2 Diabetes, improves cholesterol, and benefits your heart. Take some broccoli and toss it in lemon juice, then heat in a lightly oiled frying pan for a few minutes on medium heat. That’s it. 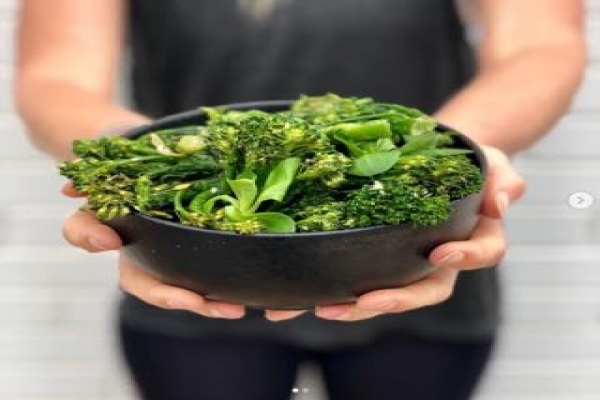 Broccoli has vitamins A, B9, C, and K. It also has sulforaphane, which has been tied to slowing down the aging process. 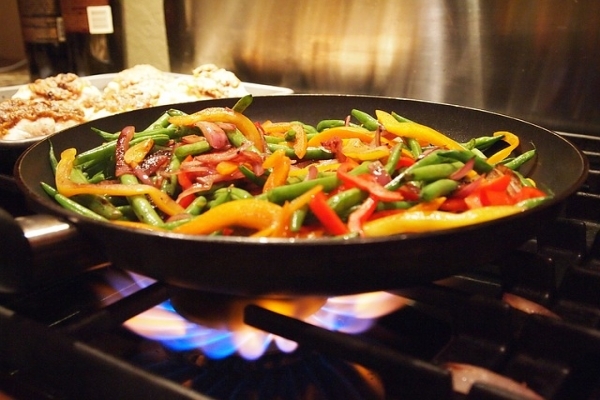 Veggies + Oil + Skillet = Stir Fry. Again, buying pre-cut veggies will save you time here but either way, it’s simple to prepare. Just toss the vegetables in a pan that is lightly coated with oil. Cook for 5-10 minutes on medium heat – until veggies are tender. Like the vegetable soup, what vegetables you use are completely up to you – pretty much any combo works but get some bok choy in there if you can. Some other ideas are bell peppers, broccoli, carrots, water chestnuts, green beans, and onion. The reason you want bok choy is because it contains phytonutrients, which are tied to a reduction in risk of cancer, heart disease, and osteoporosis. There’s a reason why avocado toast has been a favorite these last few years – it’s good for you and takes less than 5 minutes to make. Peel an avocado and spread it on whole grain toast*. Commence eating. 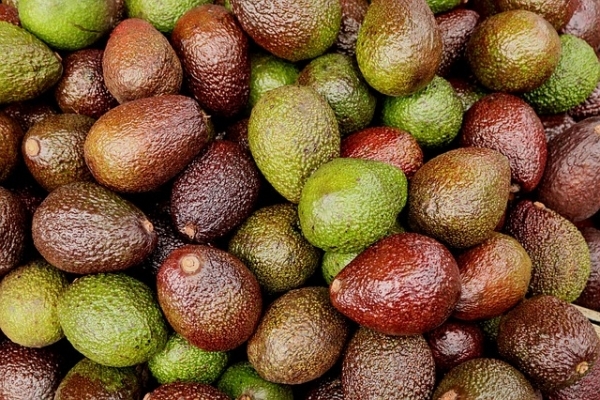 The avocado has a lot of potassium which acts as an electrolyte. Electrolytes keep your fluids in balance, and your nervous system in proper working order. *If possible, do not use white bread as it has little nutritional value and is high in sugar. Put about a cup of plain Greek yogurt in a bowl, throw some berries on top, and add a dash of sweetener for a healthy fruit-based yogurt. By making it yourself, you avoid the preservatives and unhealthy sweeteners commonly found in single-serving packages of yogurt. Berries are low calorie, contain antioxidants, and have been linked to prevention of several types of cancer.20 Greek yogurt has a lot of protein and very few carbs or fats. It also has calcium, which is good for your bones and teeth. Greek yogurt also helps keep your stomach on point, is associated with weight loss, and helps prevent Type 2 Diabetes. Congratulations, you made it to the end of the list! As your reward, here’s a type of food that you probably thought was terrible for you, but is actually really good for you. Dark chocolate. 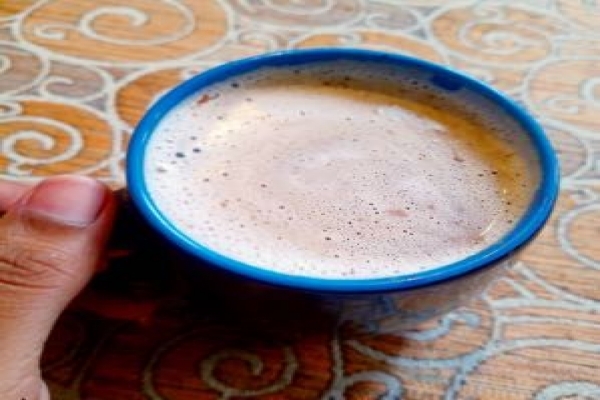 To make hot chocolate, drop a tablespoon of cocoa powder (found in the baking aisle) into a mug, add milk, and microwave. Once it is heated up, stir and the cocoa will dissolve. At this point, you can add a sweetener like stevia if you’d like. If you have any flavorings like vanilla, almond, or cinnamon, those can all be tasty additions as well. Chocolate contains tons of different antioxidants, lowers your risk of heart disease, and can help with memory problems.22 And while this version of hot chocolate isn’t Abuelita™, it is definitely abuela-approved.